Once again, it’s Meatless Monday! 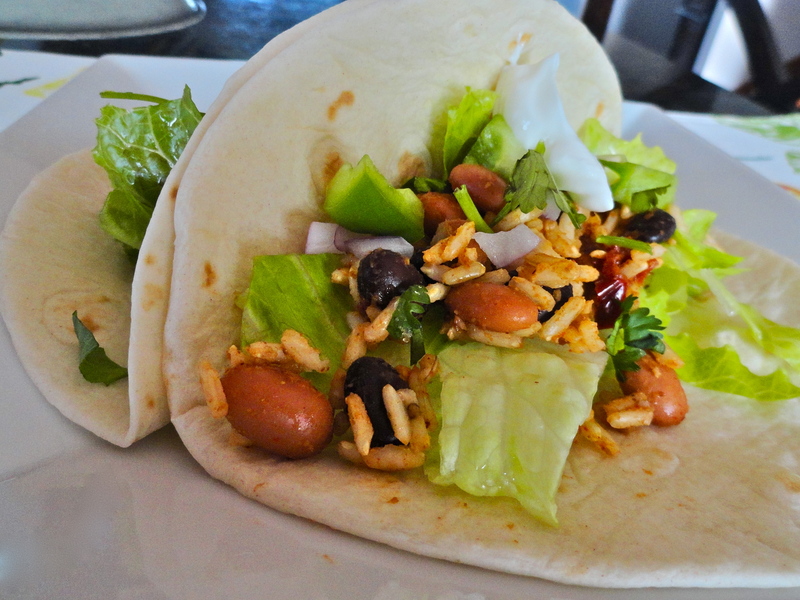 For this edition, I decided to go with Jaida’s spicy bean and rice tacos from Sweet Beginnings. I’ve made her avocado and lime black bean tacos in the past for a recipe swap and saved this one as well. We love tacos, so I anticipate we’ll be back to try several more of her taco Tuesday creations. What a fantastic idea! This really seems like a burrito-taco to me, seeing as though it has rice and beans, but honestly, I’m not sure what constitutes a taco or a burrito. I am going with tacos though, because they are in a taco shell, and not wrapped up like a burrito. That makes perfect sense, right? 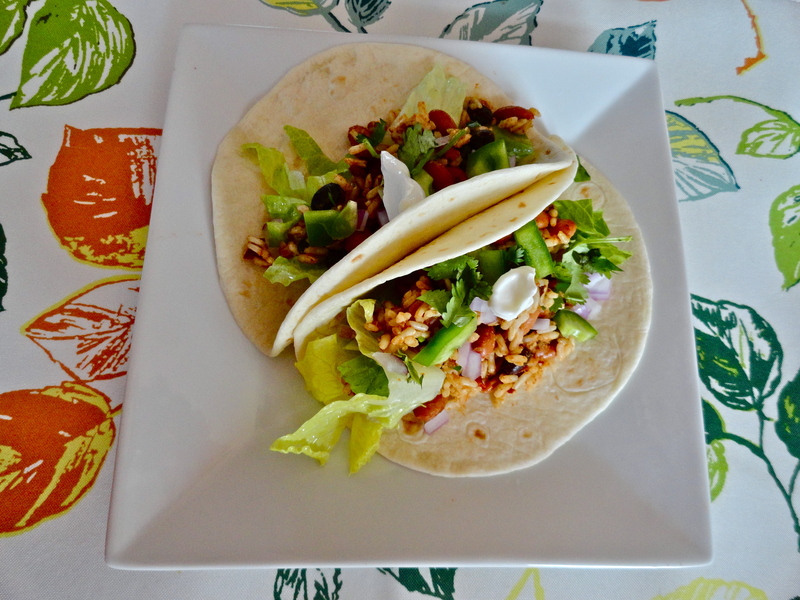 These tacos came together so quickly and incorporated ingredients that are always in my pantry or fridge. I added a little extra cayenne pepper, as we like it spicy, but other than that, these were perfect. Add some choice toppings and you’re good to go! We used the leftovers as salad toppers, as we do for most of our leftovers when applicable. 1. In a large skillet, heat olive oil over medium heat. Add garlic, chipotle pepper in adobo, chili powder, cumin and cayenne pepper. Cook until fragrant, about 30 seconds. 2. Add the beans and water to the pan and bring mixture to a boil. Reduce heat and simmer for 10 minutes, stirring occasionally. Partially mash the beans with the back of a wooden spoon. 3. Remove from heat and add rice. Stir until well combined. Scoop mixture into tortilla shells and top as desired. Mmm I loved these tacos! So glad you enjoyed them, too!! I’m not sure I wouldn’t like any of your tacos, they all look amazing!! Tacos are awesome. I love that you found a meatless one that looks amazing! Thanks! I am a sucker for any sort of taco myself, especially with beans!